Have some fun with a new virtual 'do! 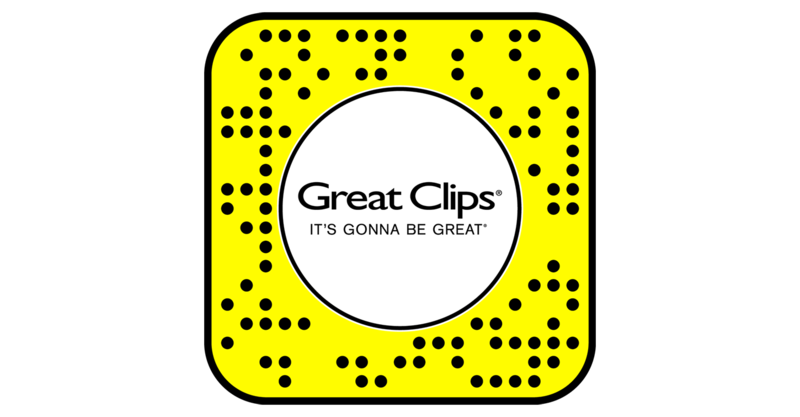 Unlock the Great Clips Snapchat Lens to play with three wacky looks. If you have the Snapchat app, just click here. Once activated, point the camera at your face. Tap the screen to cycle through different hairstyles, and open your mouth to pick your hair color! Tap "Scan from Camera Roll"
This Snapcode will also be available at Great Clips salons across the US and Canada while supplies last.